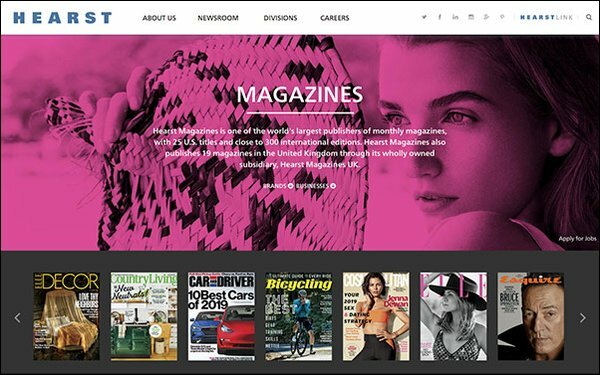 Hearst was the publisher with the most brands on the list, with seven: Elle Décor (129% growth in November 2018 compared to the year prior), Cosmopolitan (71%), Town & Country (70%), House Beautiful (56%), Harper’s Bazaar (46%), Esquire (37%) and Road & Track(33%). “Editorial intuition combined with our proprietary data tools, is leading to better, smarter creative decisions," Brooke Siegel, vice president, content, Hearst Digital Media, told Publishers Daily. “When our brands find a topic or story that deeply engages our audience, we chase it ambitiously and aggressively across all platforms. When we see a strategy working, we share it across all our teams. It’s a collaborative effort and it’s one that’s working,” she said. Travel publication Afar led the pack with 167% growth across online platforms in November 2018, compared to a year ago. Afar was followed by Elle Décor (129%) and American Media, Inc.'s Men’s Journal (122%). Taste of Home (Trusted Media Brands, 38%), Saveur (Bonnier, 30%), Fast Company (Mansueto Ventures, 20%) and Food & Wine (Meredith Corp., 13%) were also on the list. Four of the magazine brands that experienced over 300% video viewership growth year-over-year in MPA's September 2018 Brand Audience Report were also Hearst brands: Esquire, Elle, Cosmopolitan and Seventeen. In the October MPA report, about half the titles with the most video growth year-over-year were Hearst. The Hearst titles that more than doubled their video audiences from October 2017 to October 2018 included: Road & Track (1252%), Town & Country (945%), Esquire (579%), House Beautiful (216%), Car and Driver (170%) and Cosmopolitan (151%).